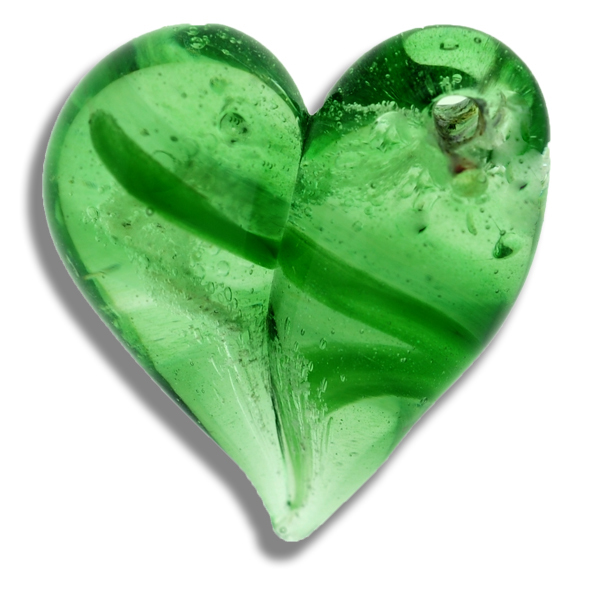 Description: This vibrant Cremation Keepsake Pendant is our classic Heart design made from optical clear Pyrex glass. With swirls of different shades of greens with hundreds of tiny floating speckles that look like stars, while interwoven with your loved one’s cremains/ash. A soldered Sterling Silver Jump Ring will be added for security. Once completed, I will sign the loved one’s name, or term of endearment e.g. Dad, Mom, etc. on the back of the keepsake in 22k gold, so as to be Forever in Glass.